When we think of a tailgate party we think of the crowded parking lot of the stadium or arena of your favorite sports team or musical act. But consider these tailgating party menus anytime you want to open up your trunk, wagon, jeep or SUV to the hungry public. 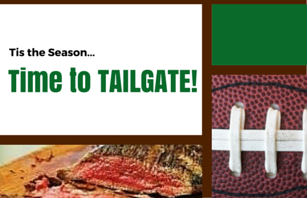 You can host a tailgating party near the lake, in the park, even in your driveway for a neighborhood block party. 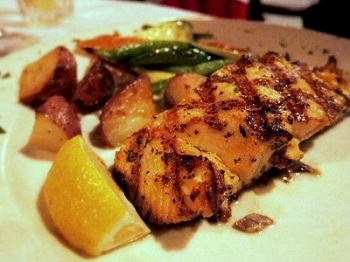 The menu and food you choose must travel well and taste good at room (or parking lot) temperature. Super simple last minute tailgate menu idea. Cook chicken breast at home and keep (mostly warm) tightly wrapped in foil or grill as desired. Not everyone can or wants to use a grill for their tailgate party. Try these recipes that can be served cold or at "parking lot" temperature. Use wings or drumettes and add zest and seasonings to the mustard mixture. Coat the chicken with this mixture prior to grilling. What could be easier? Pack the boiled shrimp in a container. Place container on top of a Ziploc bag filled with ice. Serve with cocktail sauce and saltines. This satisfying menu brings something for everyone. Start off with all the usual nibbles, snacks and beverages. End this feast with anything chocolate!